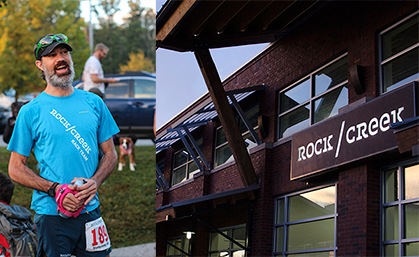 Eric Loffland, a Rock/Creek race team member and Assistant Store Manager, and several other Rock/Creek employees got an unexpected midday run in this week. Photos courtesy of Rock/Creek. 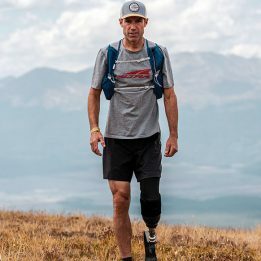 Last Thursday, October 16, at the North Shore branch of Rock/Creek, an outdoor retailer based in Chattanooga, Tennessee, several employees got an unexpected midday run in when a customer allegedly bolted out the door with stolen merchandise. 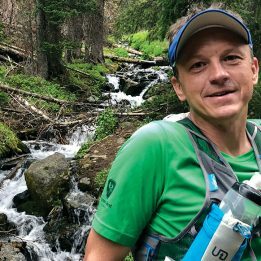 A small team of Rock/Creek employees and accomplished trail runners, including Eric Loffland, 40, the store’s Assistant Manager, took off immediately after the suspect, chasing him down the street, through parking lots, around a neighboring business’s fence and into a nearby wooded area. 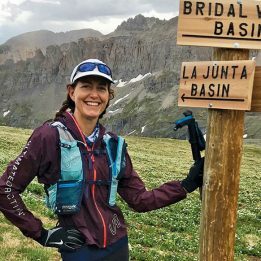 “Being a trail runner, it wasn’t hard to follow someone through the woods,” says Loffland, a member of the Rock/Creek race team who’s completed dozens of ultras, including everything from 50Ks to stage races to several 100-milers, including a 20:33 finish at Rock/Creek’s own Thunder Rock 100 earlier this year. By the time the suspect reached the woods, Loffland says, “He was definitely losing wind. He knew he had a [criminal] record, and this trail was not something he wanted to do. He was running scared.” Within less than a mile, the runners successfully detained him until the police arrived and took the suspect into custody. While Rock/Creek was pleased with the outcome of the situation, many employers discourage, or outright prohibit, their employees from pursuing shoplifters once they’ve exited a store for safety and liability reasons. And laws differ from state to state. Unfortunately, this is not as rare an experience as one might think. This time of year especially, says Loffland, people are trying to buy—or not buy, as the case may be—expensive gifts or gear for the winter season, and shoplifting is not uncommon. In fact, other retailers in Chattanooga have already expressed gratitude to the Rock/Creek employees, having recognized the suspect as someone who’d previously gotten away with stolen merchandise from their stores. Moral of the story: don’t mess with ultrarunners.